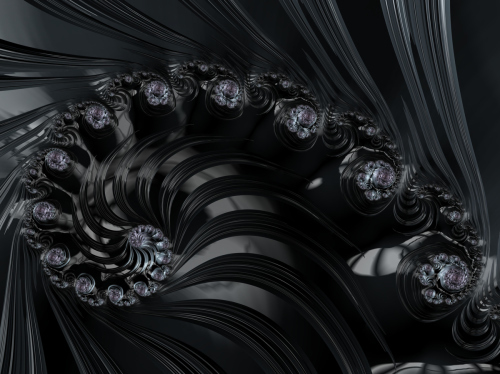 Based on the classic Julia algorithm, with a metallic texture and 3D lighting. 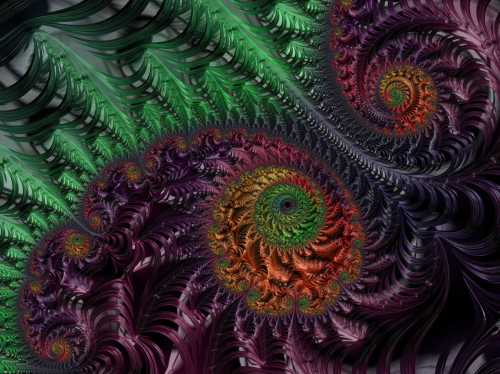 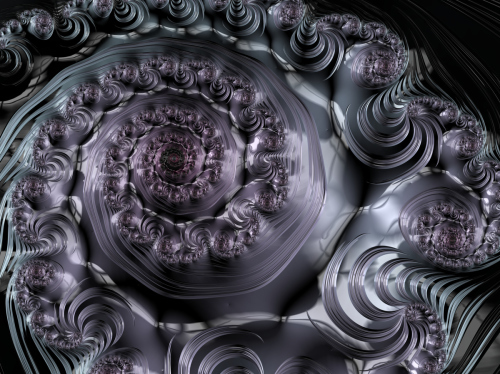 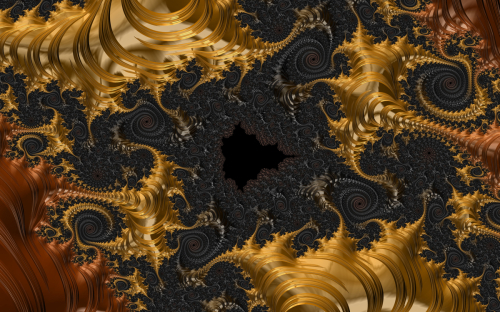 Based on the classic Mandelbrot algorithm, with a metallic texture and 3D lighting. 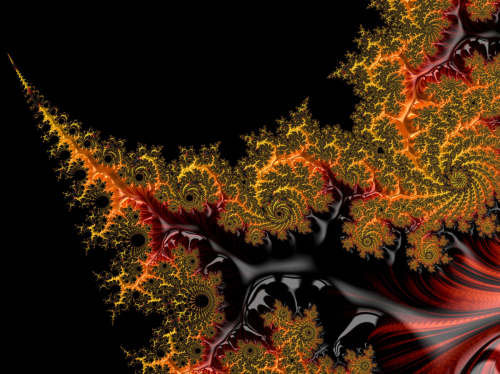 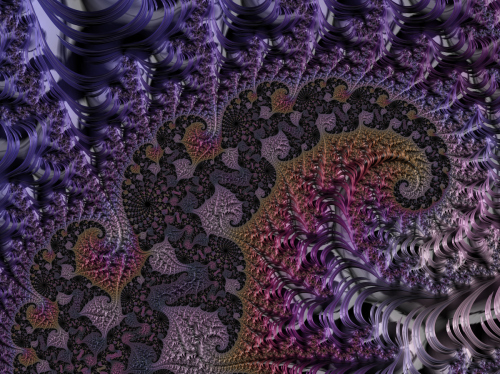 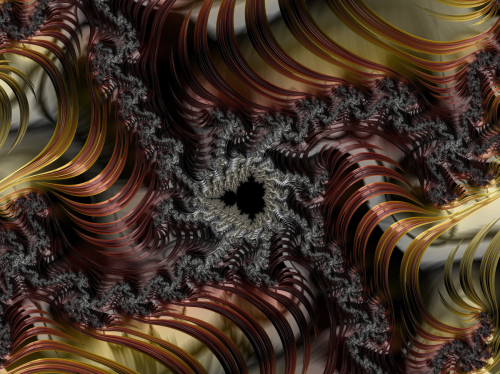 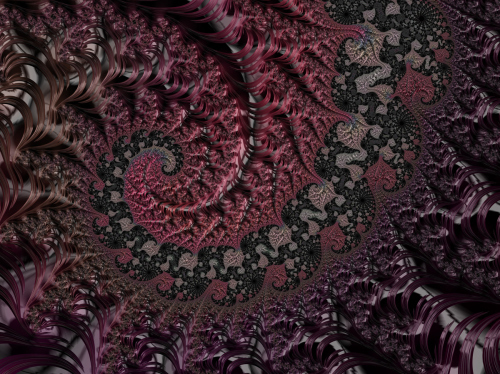 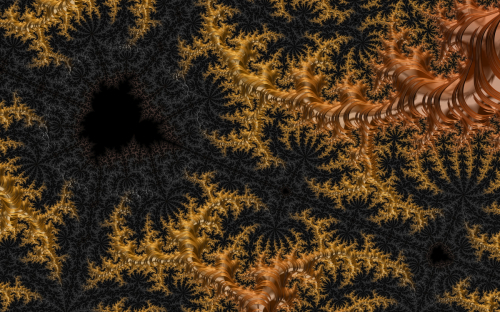 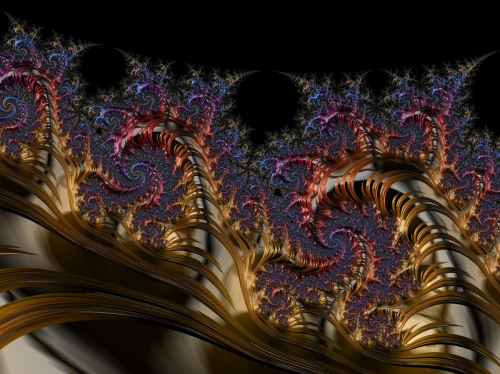 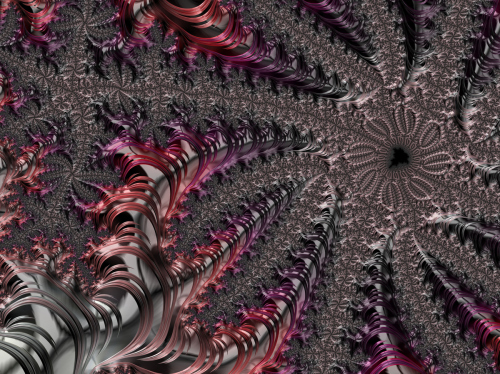 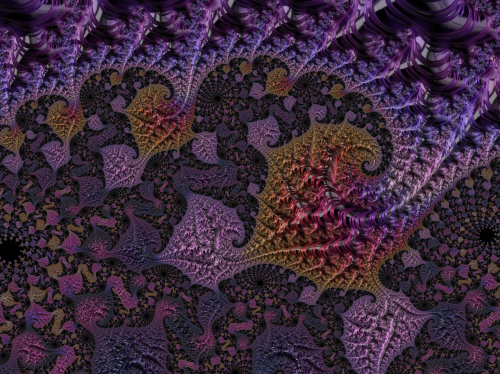 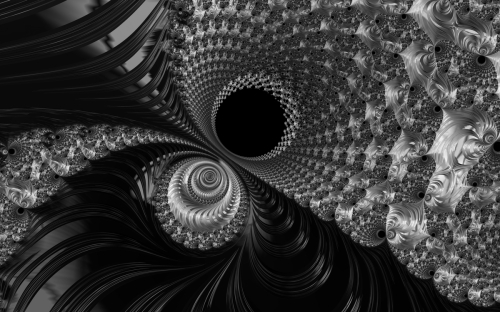 A lacy edged fractal based on the classic Mandelbrot algorithm, with a metallic texture and 3D lighting. 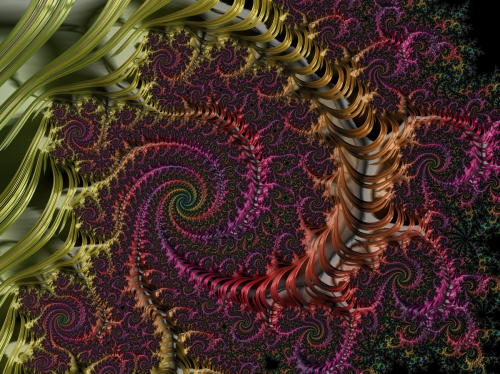 5" x 8"8" x 12.75"11" x 17.5"14" x 22.5"17" x 27.25"21.75" x 35"